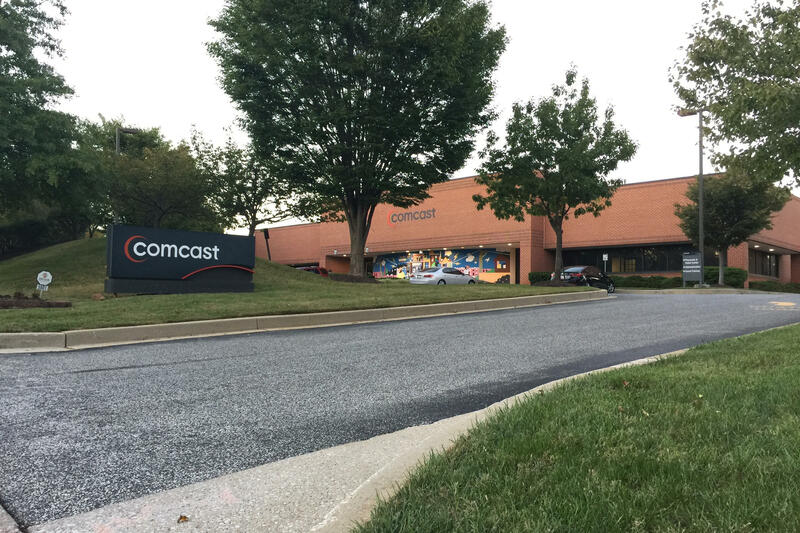 Those who live in Baltimore’s suburbs have at least two options for cable television and high speed internet; Comcast and Verizon. But for city residents, Comcast is the only game in town for cable television. And they’re pretty much the only option for extremely fast internet as well. “It’s very expensive to bring or add infrastructure to any city, let alone an older city,” he adds. Hardebeck is charged with trying to come up with ways to bring more broadband choices to the city. Keep in mind he’s only concerned with internet service. “We’ve, in fact, asked other cable operators if they’re interested in coming into the city and, so far, nobody else is,” says Minda Goldberg, a chief solicitor in the city’s Law Department. She was explaining things to Councilwoman Mary Pat Clarke during a hearing on Sept. 22 on the renewal of Comcast’s 12-year-old franchise agreement. Clarke had asked if the agreement was an exclusive one with Comcast. Franchise agreements between a local government and cable operator are non-exclusive. That means anyone with the money can operate in Baltimore. And under federal regulations, the agreements apply only to cable television service. Among the operators not interested was Verizon FIOS. Kerry Tan, assistant economics professor at Loyola University Maryland’s Sellinger School of Business, says that goes back to the infrastructure issue. Tan also says Verizon has focused on the dense suburbs around Baltimore where the operation costs are less. And then there’s the question of who’s responsible for what. While Hardebeck only focuses on the internet – and he’s spent a lot of time explaining that – Tonia Lee, executive director of the Mayor’s Office of Cable and Communications, focuses on cable. She’s spent a lot of time explaining that as well. Verizon spokesman John O’Malley said the company never built out its FIOS network in Baltimore because it did not have a franchise agreement with the city. He said the company will only focus on areas where they hold franchise agreements. But WBUR, an NPR member station in Boston, reported earlier this year that Verizon will build a FIOS network within Boston city limits. The company is only negotiating a franchise agreement to offer television service in Boston. Verizon will spend more than $300 million to build its fiber optic network all over Boston. The company plans to install FIOS over the next six years. At last month’s Comcast hearing, there were no complaints about the service. And a study commissioned last year by Mayor’s Office of Cable and Communications reported that a vast majority of residents who subscribe to Comcast are at least satisfied. A City Council committee is to vote Thursday on whether to send the franchise renewal agreement to the full council. It is expected to go before the full council at its Oct. 24 meeting. The renewal is for ten years.